Let's write, polish, edit and share your story, article or book TODAY. 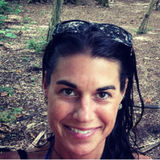 I am a writer-editor, singer-songwriter, academic, world traveler, outdoors & fitness enthusiast. I have been to over 30 countries and volunteered at rural hospital clinics (Zimbabwe, Haiti) and adventure camps (Nepal, Sri Lanka). I've worked in music, service, admin, finance, landscaping, you name it. I bring all these experiences, interests and aptitudes to the writing and editing table. I get a thrill out of finding errors, reworking pieces, editing. I get lost in details and ideas. I love how writing and sharing stories connects people. I am part Montagnais First Nation which means "mountaineer." I love climbing mountains literally and figuratively. Is writing this book or story your mountain? Are you not sure where or how to start? Not the best with words? Let's get to it! Check out the blogs for samples of my work. Moved to Canada from Australia on a two year work visa and looking to offer my services as a writer to those who need it.